The 1A1R Special combines a steel core with the 1/4″ diamond or CBN section. The result is a highly rigid wheel primarily used for deeper cutting applications, which require additional wheel exposure. This wheel is used on standard surface grinders, OD grinders and machining centers. The 1A1R Special is available in 4″, 5″, 6″, 7″ and 8″ diameters. The thickness ranges from .032″ to .375″ in increments of .001″. The use of a Diacut 1A1 Type flange is recommended for rigidity and longer wheel life. This flange is available from 3″ to 7″ in diameter, in increments of 1/2″. The standard hole size on the 1A1 Type Flange is 1 1/4″. 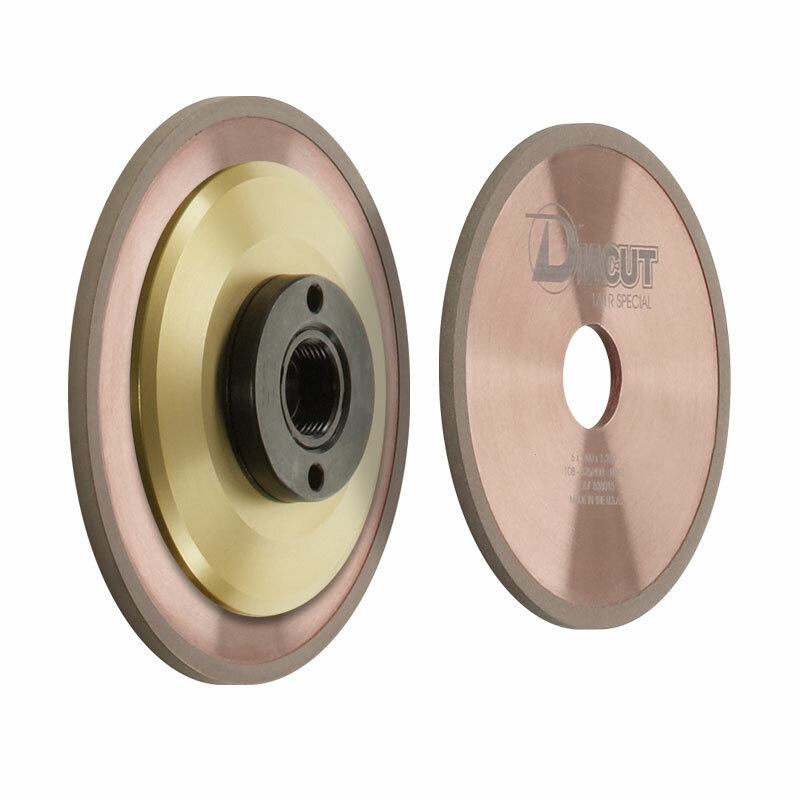 However, if a smaller hole is required, the Diacut 1A1 hole reduction flange is available. If you are looking for Special wheels that leave a finer finish, try our 1A1R Resin Bond Special Wheel.